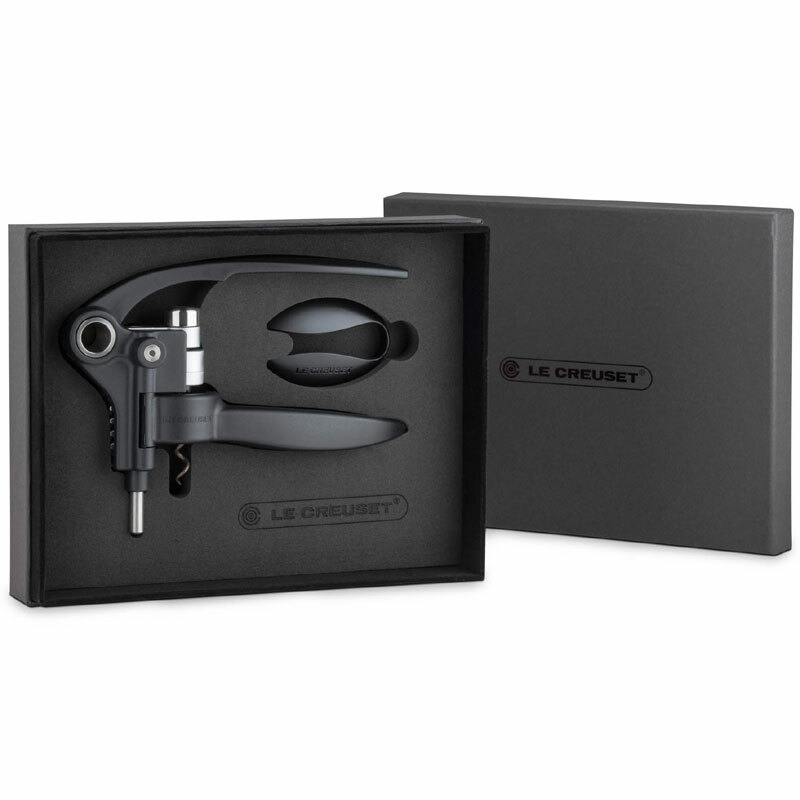 Patented lever technology removes synthetic and natural corks with ease in a classic styling with durable, long-lasting constructions. 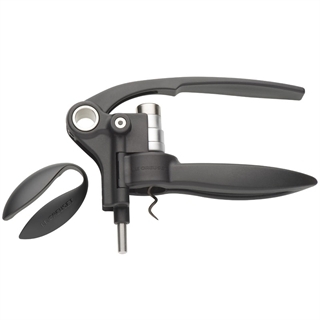 Superb easy extraction of corks makes this one of our most popular corkscrews. 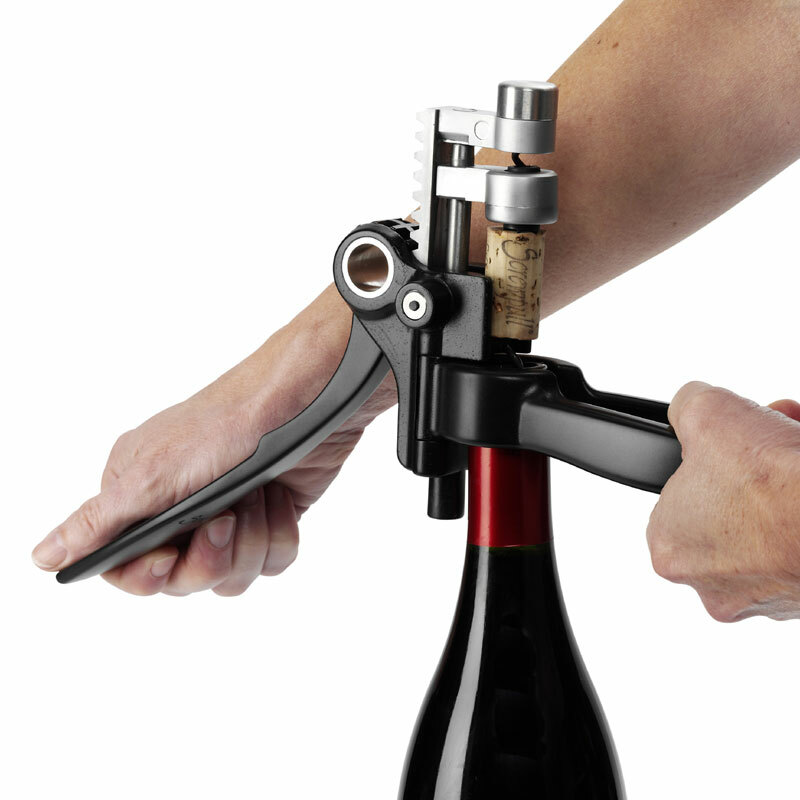 Use one hand to hold the handles of the corkscrew in position, this grips the bottle and the corkscrew, use your other hand on the lever to withdraw the cork. 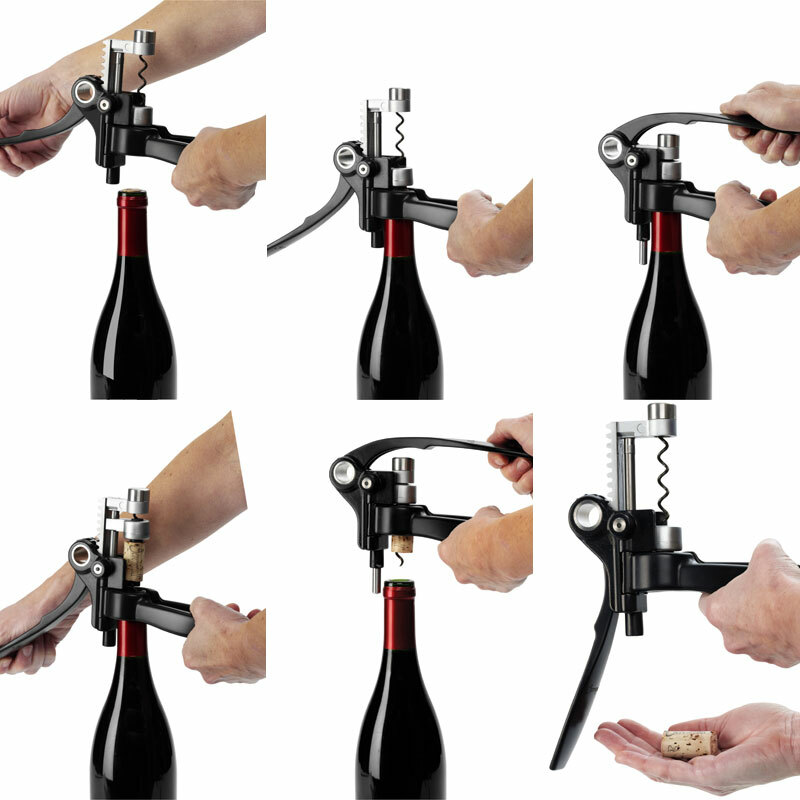 This simple movement of the lever removes the cork effortlessly. A replacment screw is available for this corkscrew.